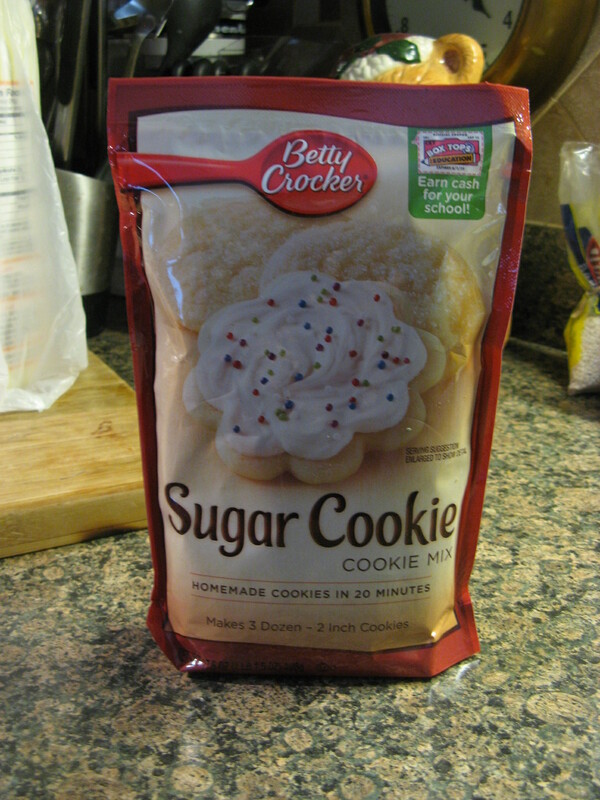 While I would have loved to bake up a batch of sugar cookies from scratch I had to settle on using a bag mix since I was short on time and couldn’t afford to wait the hour or so for my dough to be refrigerated. 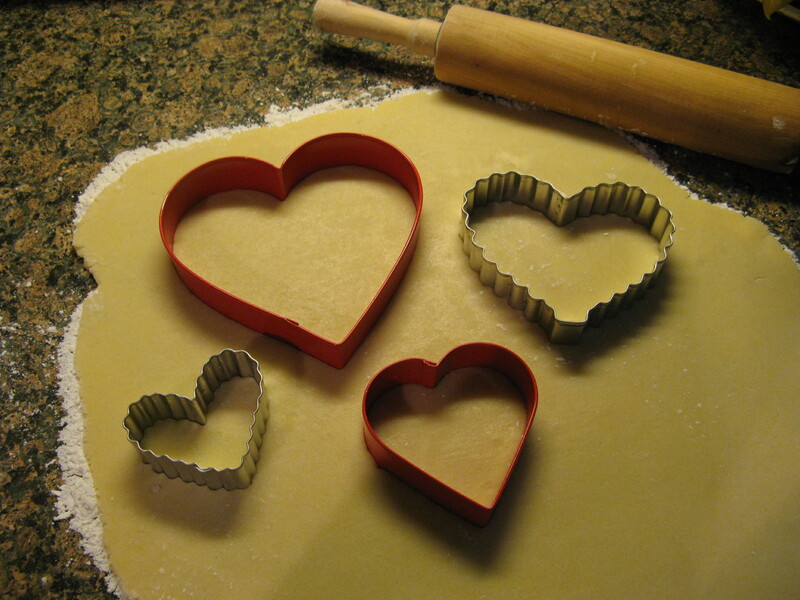 After following the mixing directions on the package for cutout cookies I rolled out the dough and used my heart-shaped cookie cutters to cut out cookies and then popped them in a 350 F preheated oven on an ungreased cookie sheet for six minutes. 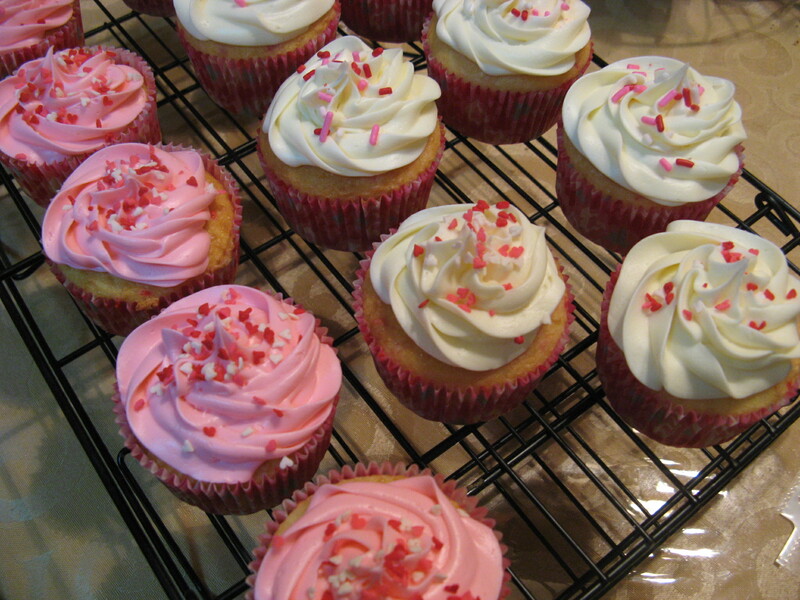 I got a jump start on decorating a few of them by sprinkling sprinkles on them prior to baking. 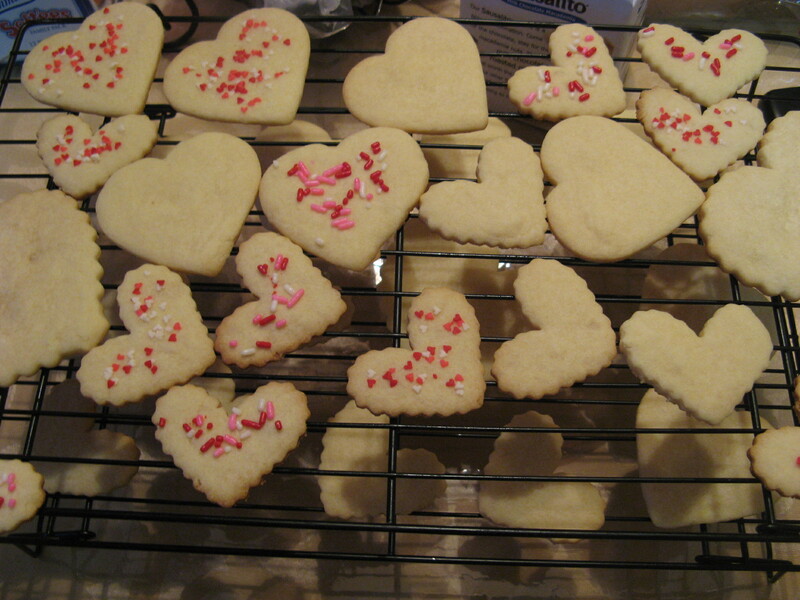 I then let them cool completely before finishing my decorating. 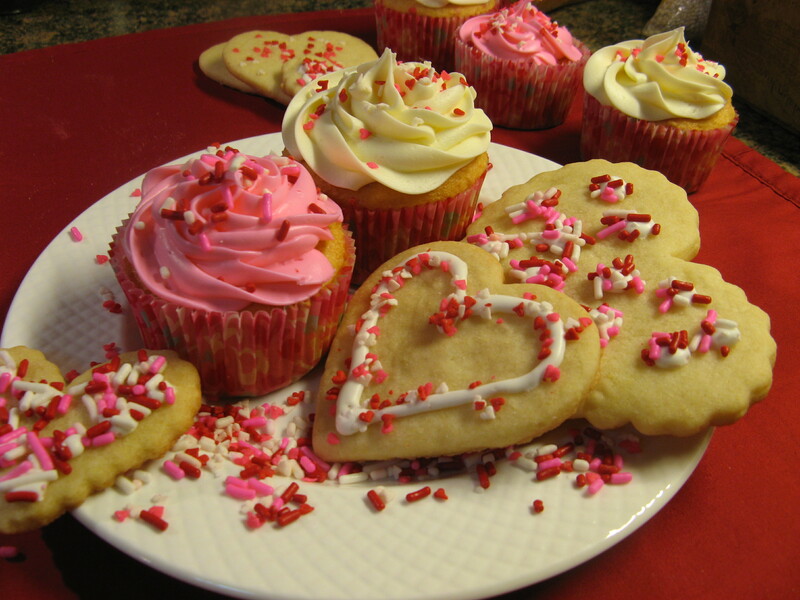 While the cookies cooled I made some cupcakes using Pillsbury’s Valentine’s Day Funfetti Cake Mix. 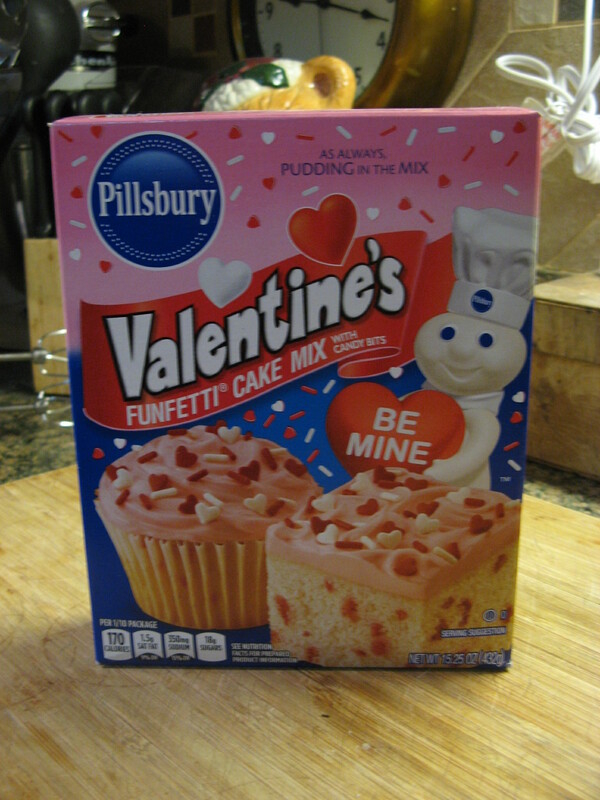 How can you resist the Pillsbury Dough Boy on a Valentine’s Day themed cake mix box!?!? 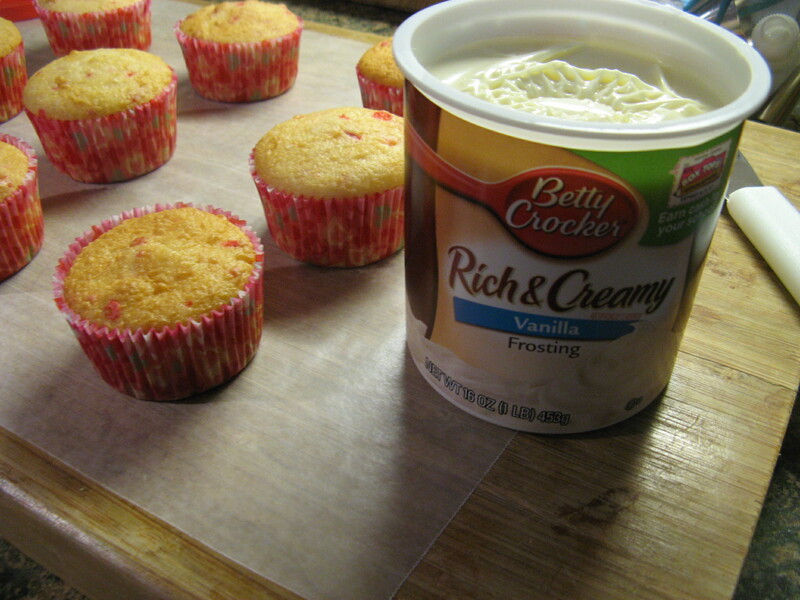 Once they cooled I frosted them using store bought vanilla frosting. 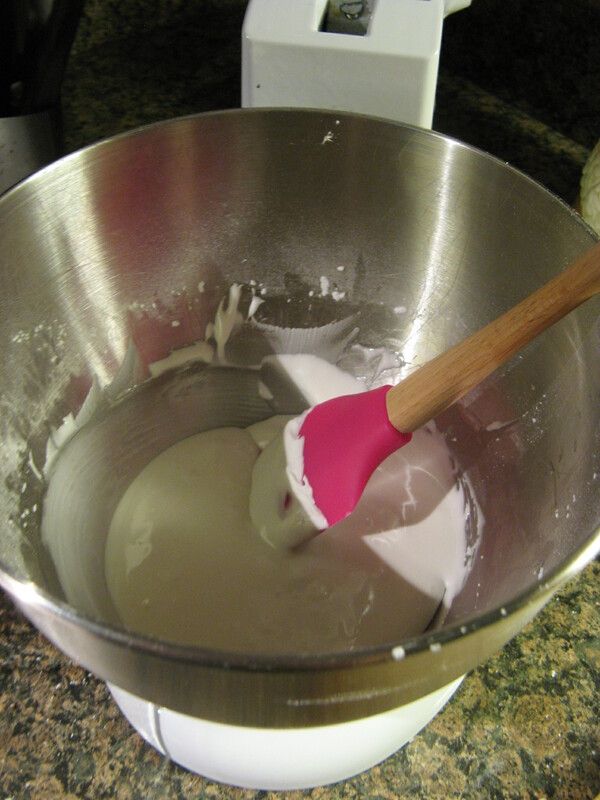 I was planning on whipping up a batch of vanilla frosting from scratch, but, after shoveling snow for the umpteenth time this year I just wasn’t in the mood. 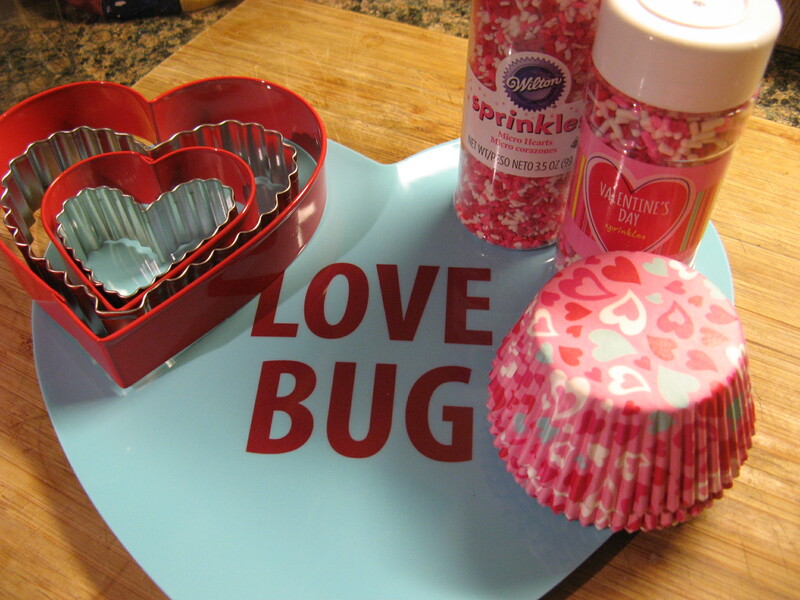 I tinted half of the frosting pink and then sprinkled some Valentine’s Day sprinkles on them. 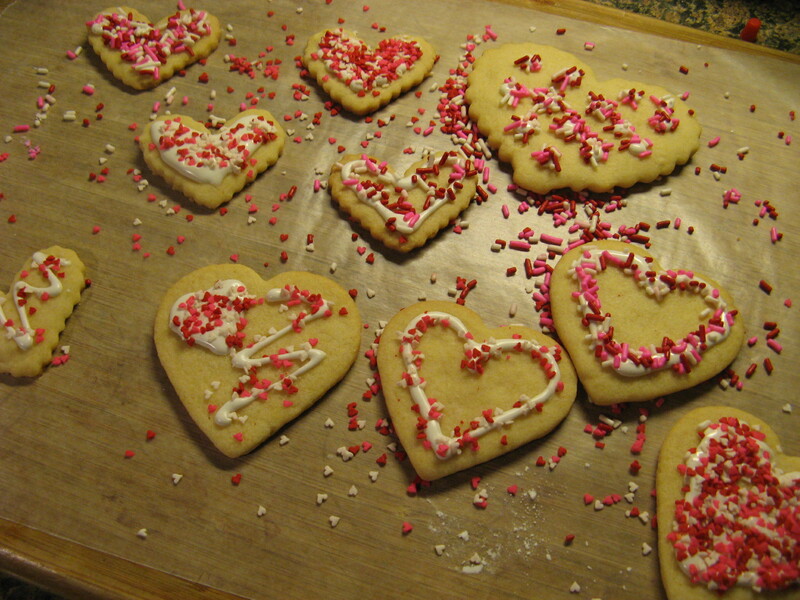 And finally something I did make from scratch… Royal Icing to decorate the cookies. I used a squeeze bottle to decorate the cookies with icing and then once again used sprinkles to finish decorating them.